Internal Revenue Service (IRS) - The IRS is the U.S. government agency responsible for tax collection and tax law enforcement. This site contains downloadable forms, instructions, and agency publications. Georgia Department of Revenue - Official site for the Georgia Department of Revenue. The Georgia Society of CPAs (GSCPA) - Provides publications, conferences, resources, news, and other information for Certified Public Accountant members in Georgia. AICPA - American Institute of Certified Public Accountants. Georgia Secretary of State - Official site for the Georgia Secretary of State. Search Georgia corporation, professional license, and charitable organization records. Corporate Database - Search Corporate Database by Entity or Agent Name. IRS Federal Tax ID/EIN - Online application to obtain a federal tax ID/employer identification number. Dun & Bradstreet, Inc. - D & B - D&B ( NYSE:DNB) is the world's leading provider of business information, enabling business-to-business commerce for 160 years. D&B D-U-N-S Number - Request a D-U-N-S number or check your listing. U.S. Small Business Administration - SBA - SBA Programs, News, Forms, and more. The Business Forum Online - The Business Forum for the Emerging Business and Entrepreneurs. BusinessTown.com - Start and run a small business without losing your shirt, your sleep, or your sanity! Better Business Bureau System (BBB) - The BBB system has helped make it possible for consumers to buy goods and services with confidence. Get the latest news and alerts, find a local BBB or file a complaint online. Toombs-Montgomery Chamber of Commerce - Chamber of Commerce and Development Authority for Toombs and Montgomery Counties. The International Chamber of Commerce & City-State-Province Directory - Search for Chambers of Commerce or Cities-States-Provinces around the world. National Federation of Independent Business (NFIB) - NFIB, the National Federation of Independent Business, is the largest advocacy organization representing small and independent businesses in Washington, D.C. and all 50 state capitals. Investor's Business Daily - Daily stock market and business news, quotes, mutual fund performance, and market analysis. Financial Advisor Magazine - The magazine for advisors from one of the most experienced and respected publishing teams ever assembled. National Association of Investors Corporation (NAIC) - The National Association of Investors Corporation (NAIC) teaches individuals how to become successful strategic long-term investors. Louis Rukeyser's Website - Rukeyser.com - Investment advice, financial investment research, The Rukeyser 100, financial planning, investment strategies, stock recommendations, and more. Morgan Stanley - Stock quotes and more. Smith Barney - Stock quotes and more. Charles Schwab - Stock quotes and more. 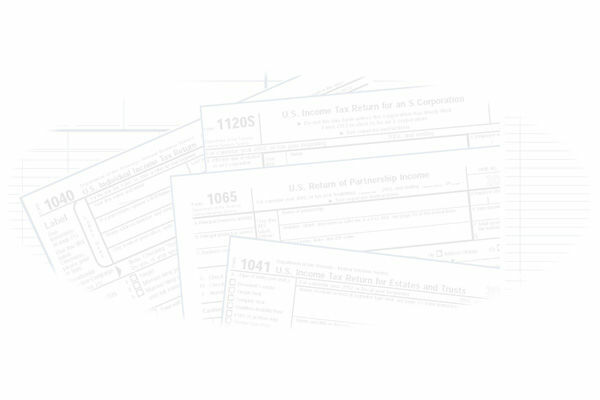 Kiplinger.com: Tools - A wide variety of calculators for pretty much everything. U.S. Senator Saxby Chambliss - Biographical Page at www.senate.gov. U.S. Senator Johnny Isakson - Senator Isakson's Website. U.S. Representative Jack Kingston - Representative Kingston's Website. U.S. Representative Jim Marshall - Representative Marshall's Website. State Senator Tommie Williams - Senator Williams's Website. State Senator Jack Hill - Senator Hill's Biographical Information at www.legis.state.ga.us. State Representative Terry Barnard - Representative Barnard's Biographical Information at www.legis.state.ga.us. State Representative Greg Morris - Representative Morris's Biographical Information at www.legis.state.ga.us. The Lectionary Page - Episcopal Church Lectionary Liturgical Calendar. City of Vidalia - City of Vidalia Home Page. Georgia Southern University - The largest and most comprehensive center of higher education in the southern half of Georgia. PGA Tour - PGA Tour, Senior PGA Tour, The Nationwide Tour, LPGA, European PGA Tour, Player Bios and Stats. Federal Citizen Information Center of the U.S. General Services Administration (FCIC) - Federal Citizen Information Center - answers to your questions about the Federal government and common consumer issues. The citizen's help desk for everyday life. It may be that the Day of Judgment will dawn tomorrow; in that case, we will gladly stop working for a better future. But not before.